eBay is discounting Promoted Listings to entice sellers to advertise. 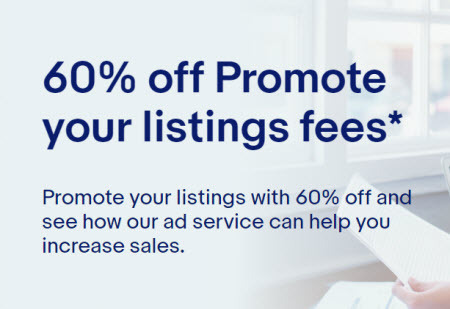 The promotion invites sellers to try Promoted Listing ads at 60% off (up to $1,000) and is valid through February 15, 2019. With Promoted Listings, sellers pay advertising fees only when the ad results in a sale; the seller sets the fee as a percentage of the selling price ahead of time. Only sellers who are invited can participate in the current promotion, which they must activate in order to qualify for the reduced rates. While the promotion is only valid on eBay.com, international sellers who are invited can participate. “Sellers will receive a credit to the Promote Your Listings fees they have incurred during the promotion period. 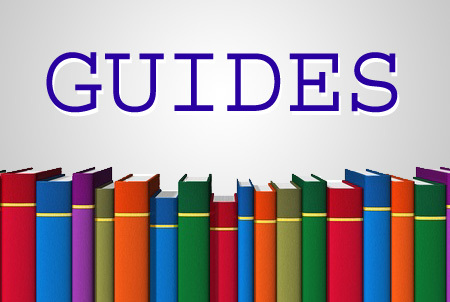 The credit amount will be calculated as 60% of the total Promote Your Listings fees applied to Sellers during the Promotional period but not more than 1000 USD. 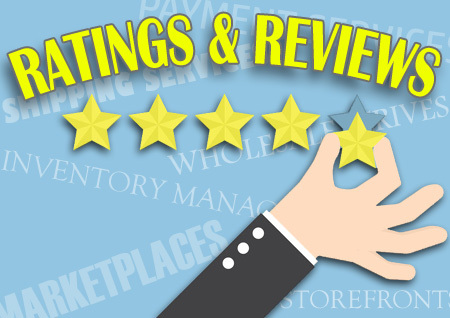 In order to qualify for the credits, item must have been sold using the Promote Your Listings service, and as such, would have an associated Promote Your Listings fee based on the advertising percentage rate selected. eBay provides information about the average ad rates by category on this page, updated weekly. The page currently shows Books with an average ad rate of 3.03%, and Stamps with an average ad rate of 11.45%. The other categories with double-digit average ad rates are Antiques; Cell Phones & Accessories; and Jewelry & Watches. Sellers considering advertising through the program should be aware that Promoted Listings ads may preempt the same listing from appearing organically in the same set of results, and a listing’s organic ranking may be impacted by its performance in Promoted Listings. As we reported yesterday, eBay CEO Devin Wenig revealed plans to add a CPC model to the Promoted Listing ad lineup. A seller who received the invitation to participate in the current promotion told us he believed it signaled eBay’s desperation to get sellers to use Promoted Listings. Let us know what you think on the EcommerceBytes Blog post. the delusional ceo still can not figure out that sellers do not want is money grabs. A fool and his money are soon parted. Lots of fools on Greedbay. Maybe I’m delusional, but it seems to me that if ebay showed ALL listings, they would be self-promoting when listed by price…assuming buyers use the right keywords and Cassini can spell. Why in the world would any seller want to GIVE away EXTRA money to eBay?? Why would I want to give them more for the job they aren’t already doing????? They have forgotten that they are a PLATFORM for me to sell my goods thru. So tired of their ignorant CEO choices that look to be the eventual demise of this once great company. #SAD! !